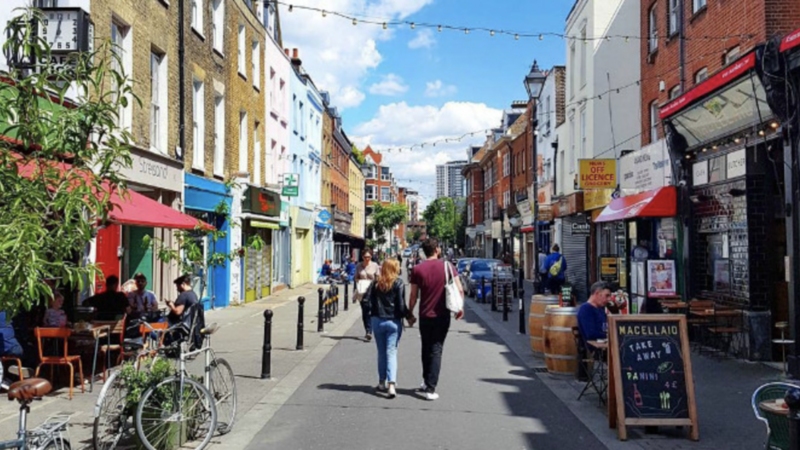 Exmouth Market draws its name from the Exmouth Arms Pub that is centrally situated in the street. The market has existed since the 1890s and has is home to 20 street food vendors and a large number of restaurants, cafes and bars. Local landmarks include The church of Our Most Holy Redeemer, London's only Italian basilica-style church.